Last Saturday (January 11th 2014), Carlsberg Malaysia held a media launch for their Chinese New Year 2014 campaign that was surprisingly not without a few creativity thought-out activities besides the usual lion dance and drums performances. It was a privilege once again for a small time blogger like myself to invited to such an event. We were given a chance each to pluck mock gold coins out of a 10-foot ancient palace-like door, and inside these gold coins indicate what prizes we’ve gotten ourselves. This was actually something new ’cause usually lucky draws at media events like this are “picked” by the organisers. So I got a real rare fair chance of drawing a prize and unfortunately I only got a deck of Carlsberg playing cards (ha-ha). The other thing that must be mentioned here is the Carlsberg Golden Success Cup horse race. Oh yeah, they actually sponsored a horse race for this and everyone got sponsored two 5 ringgit vouchers to place bets. It’s proven that it wasn’t going to be my day as both of the horse I chose didn’t win (curse those tips that were provided to everyone!). 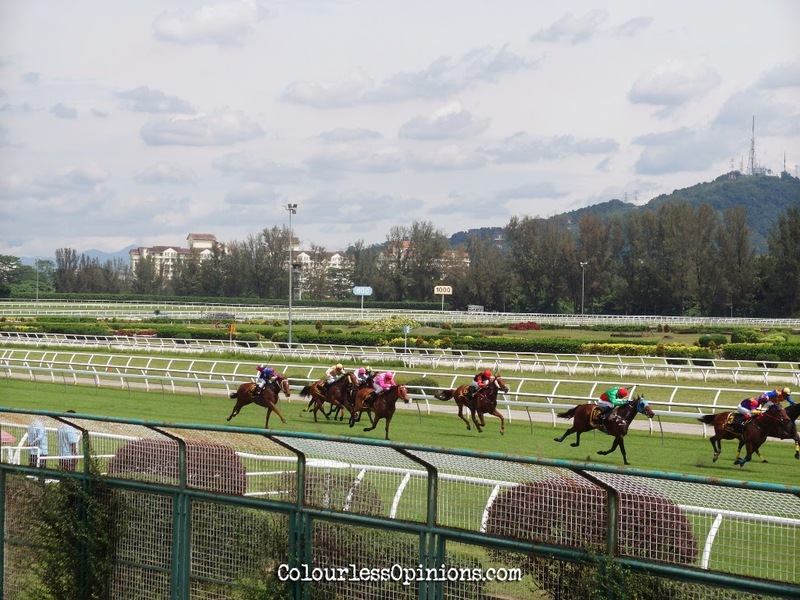 But nonetheless it was quite an exciting experience as it was the first time ever in my life that I placed a bet in a horse race and watched it live in person. One of the jockeys actually fell off from his horse (also one of horses from the list of “tips” actually haha!) and everyone who bet on it were refunded with real money. So these people actually had their vouchers converted to RM5 – RM10. I consider this luck as well, a small one but better than nothing! 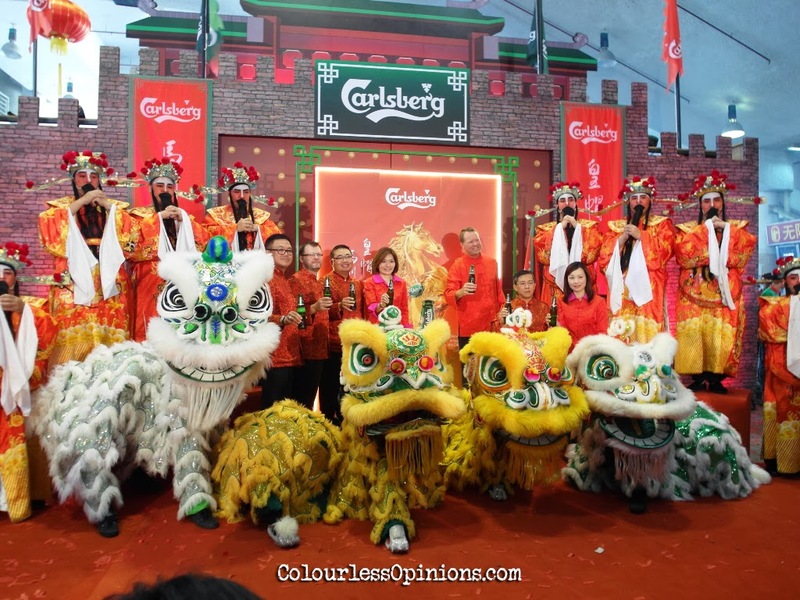 Managing Director of Carlsberg Malaysia, Hendrik Juel Anderson said that the horse race was also a part of Carlsberg’s quest to encourage consumers to boldly embrace the year ahead. 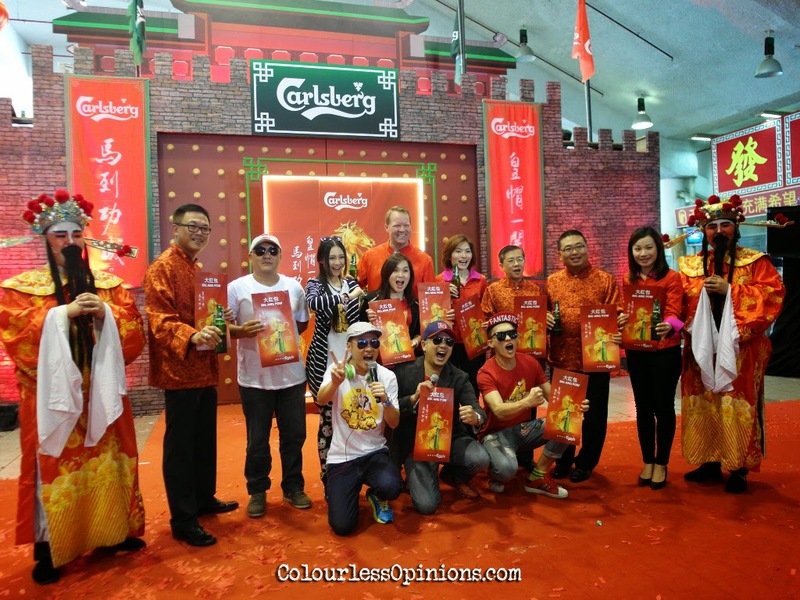 The cast of Jack Lim’s upcoming Chinese New Year film Ah Beng: Mission Impossible was also present to promote their collaborated campaign with Carlsberg. They will be visiting 20 Carlsberg affiliated food courts in Klang, Ipoh, Butterworth and other part of Penang to meet and greet consumers, and those who purchase two buckets of Carlsberg during the activity will stand a chance to get an autographed photo of Ah Beng and the others. I didn’t get the invitation to attend the gala premiere of the film (after last year’s Once Upon A Time, they’re probably afraid of critical reviewers now) and I doubt I would pay to watch it so don’t expect a review from me. There were of course pretty beer-serving girls at the event and I find this one’s face kind of resembles the Taiwanese boobacious YouTube celebrity Ily “Ji Pai Mei” (雞排妹). What do you think? 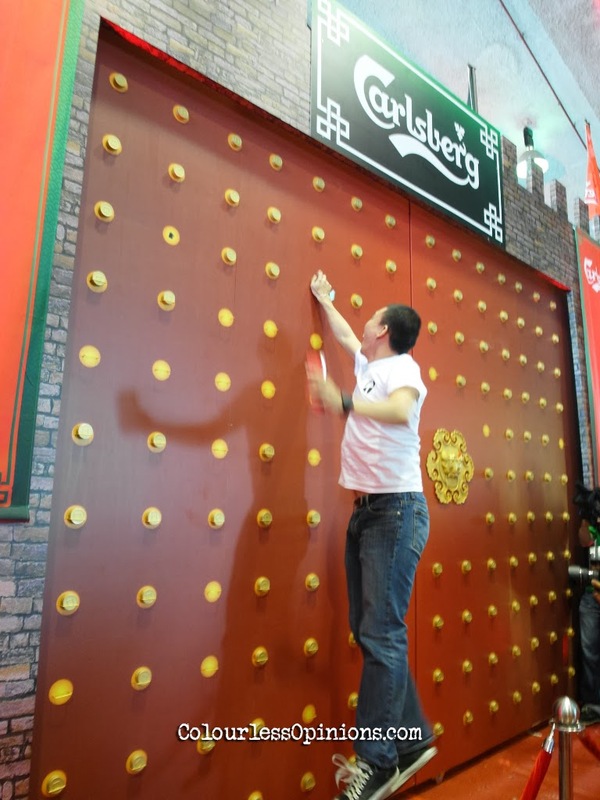 To read about the Carlsberg CNY 80,000 prizes and cash giveaways, please head over to my older post here. Follow me on Facebook, Twitter, Instagram and Google+ for updates to come to you.